I received a promotional item from Fannie May for review. All opinions are my own. Holidays are all about family. This time of year, we on many occasions are getting together with family and friends for holiday events and parties. We have the opportunity to open our home to guests and we also go to others homes for holiday gatherings. I don’t think I go through more chocolates, cookies and treats year round, that I do during the Christmas Holidays. Especially assorted Chocolates. They are fantastic. You know? They are so perfect to have on hand this time of year, because they make an easy treat for when guests show up. I like to put them all out on a holiday platter so the guests can pick and chose their favorite treats. 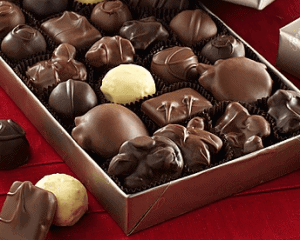 I prefer the assorted chocolates, because you get such a variety of chocolates that you are sure to have the perfect one for all of your guests. I also like to have a few boxes of assorted chocolates on hand, because they make great hostess gifts. Whenever I go to a party, I like to bring a little gift along with me. 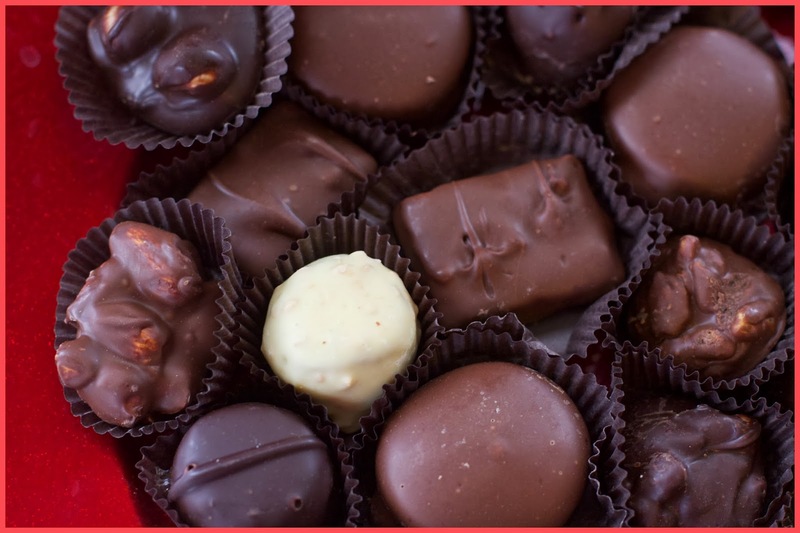 You can’t go wrong with assorted chocolates. Everyone loves chocolate. I had the opportunity to review the 2 LB Colonial Assortment. The Colonial box caters to all chocolate fans, featuring a wonderful milk and dark chocolate assortment. If it is variety you crave, the Colonial Assortment will surely impress. Coated in milk and dark chocolate, these pieces include toffees, Pixies, Trinidads, buttercreams, crunchy nut clusters and more. This worked perfectly for a family party that we recently had because we had milk chocolate lovers, dark chocolate lovers, nut lovers, buttercream lovers and more. Seriously, something for everyone! I have had Fannie May chocolates many times. 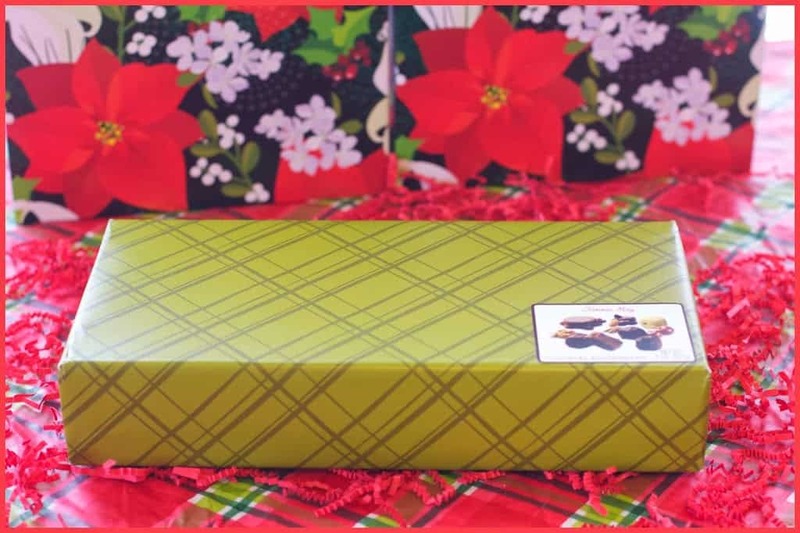 They tend to be our go-to choice for our holiday Assorted Chocolates because they have a large selection, great prices and delicious chocolates. Where its too late, to ship for Christmas, New Years is just around the corner and Fannie May Chocolates are perfect for New Years Eve parties and celebrations! They are a delicious treat that would be perfect for any holiday party! 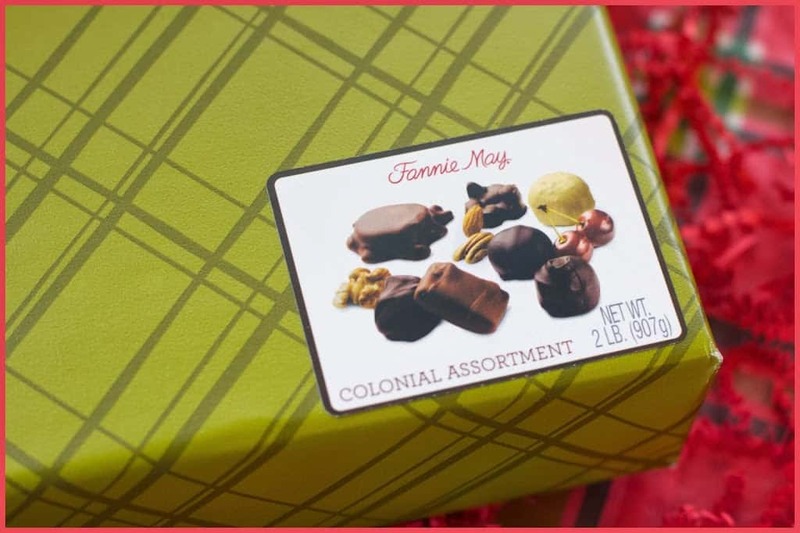 Visit them online to view the delicious Fannie Mae Assorted Chocolates or to purchase treats for your New Years Eve parties!